Nearly three years into a devastating economic recession, American workers are deeply pessimistic about prospects for economic recovery. 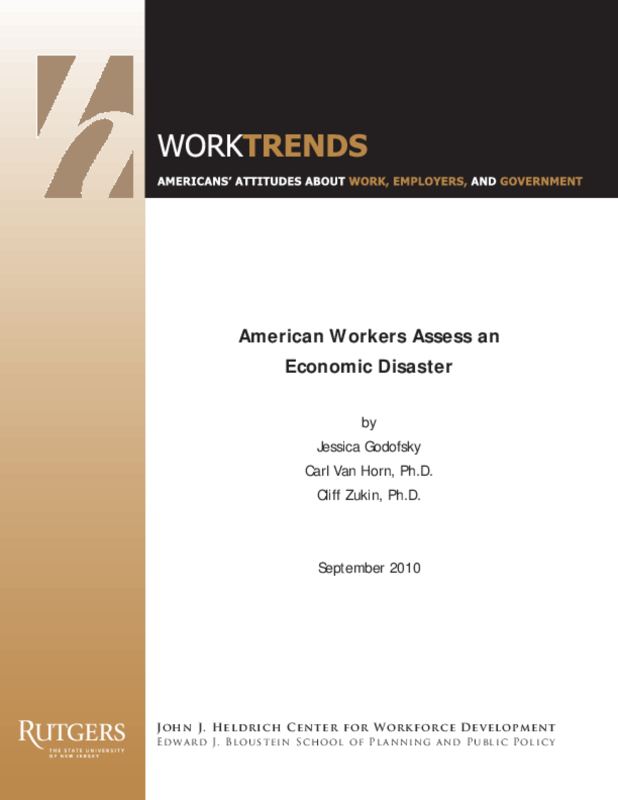 The majority believe that the nationas economy has undergone a fundamental and lasting change, according to American Workers Assess an Economic Disaster, a new nationwide Work Trends survey from the Heldrich Center. Nearly three in four (73%) Americans have been directly affected by a recession that is unprecedented in its length and severity. Nearly two in three of those surveyed expect the United States to still be in a recession next year; another 18% fear a depression is coming. More than half (56%) think the U.S. economy has undergone a fundamental and lasting change as opposed to a temporary downturn (43%). Fully 41% anticipate that the United States will be experiencing similar economic conditions a year from now while another quarter (27%) actually believes the economy will get worse before it gets better. Nearly 9 in 10 Americans (86%) who are still working express at least some concern about their job security; half of them report being very concerned. Copyright 2010 Heldrich Center for Workforce Development. All rights reserved.